Getting Domoticz up and running on your Raspberry Pi is not that hard. Especially when you follow this tutorial (Installing Domoticz on a Raspberry Pi) to install Domoticz, you should be good to go! What do you need for Domoticz? 6 Congratulations – you did it! Raspberry Pi 3 – Of course you need a Raspberry Pi. This can be any version but if you have the choice please choose version 3. This is currently the most powerful hence energy efficient version. Protective case for your Raspberry Pi – You need to protect the center of your Domoticz setup against dust, shocks and all other environmental factors. Therefore, we strongly recommend that you buy a case. Power supply for your Raspberry Pi – the Pi is not shipped with an included power supply. Therefore you need to buy a suitable micro USB power supply. 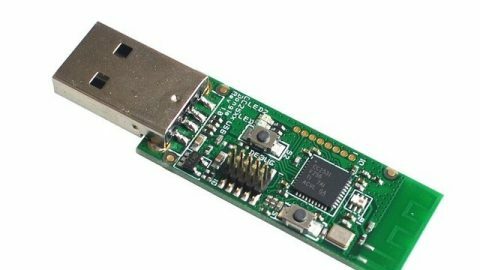 For the Raspberry Pi 3, you need a 5V supply with a minimum of 3A, we recommend at least 4A, so you can feed more than one USB device from the Pi. A micro SD card – the Pi version 3 only accepts micro SD. The needs to be class 10 card with a minimum capacity of 8 GB. A network cable – for installation you need a network cable. We recommend keeping the Pi connected through a network cable (instead of a WiFi USB stick) for the most stable connection. A Linux image – your Raspberry Pi needs an operating system to run Domoticz (or to do anything at all). We need a light and reliable OS and therefore choose for a special Raspberry Pi version of Debian Linux. 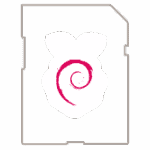 This is called Raspbian Stretch Lite, does not contain a Graphical interface and is the most downloaded version for this application. It can be downloaded here: https://www.raspberrypi.org/downloads/raspbian/ (choose the Raspberry Stretch Lite version, without Desktop). Network watcher – Only needed if you are not familiar to check the IP-address of your devices in your network. Setting a fixed IP address for your Pi in your internet router makes your life much easier. It is useful for initial configuring your Pi, to set up port forwarding, and administer your Pi using Putty. You need to configure this in your router, so refer to your router documentation. Use the W32 Disk Imager to write the downloaded Raspbian Jessie Lite image to your SD card. Because SSH is disabled by default, place an empty filename ‘ssh’ on the SD-card to enable SSH on boot. This file cannot be a renamed text file (because it will contain metadata), so create one in Notepad ++ and save it as a file without extension (or download the file here and unzip). Put this file in the root directory of the SD card, then put it in the Raspberry PI and power on the Pi. to configure your Pi connect to it using the Putty tool. Leave Port number on 22. 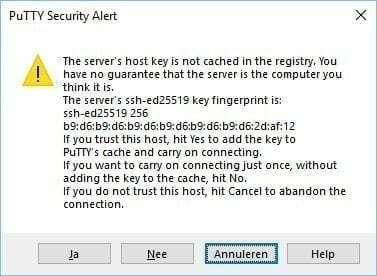 Press ‘Yes’ when a Putty Security Alert pops up. Now we are logged in, we can change some of the settings of the Raspberry Pi. To open the Configuration Tool you have to enter the following command in the command prompt of Putty. You can type it in or copy and paste it in Putty (pasting can be done by right-clicking in the Putty window). Press Enter and the Configuration Tool will open. We strongly recommend changing the password. Because the Raspberry Pi is running headless (no monitor keyboard and mouse attached), you don’t have and need a GUI. that’s the reason to can go to: Option 7 Advanced Options > Memory Split and change the value to 16. Select Finish and choose to Reboot. The Pi will drop the connection. 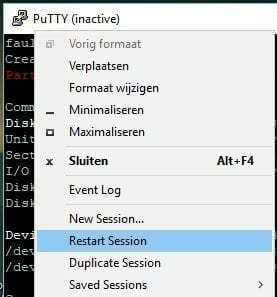 If you want to reconnect you can click with the right mouse button on the Putty program bar. In the menu, click on ´Restart Session´ (rebooting of the Raspberry Pi may take a while). Just like other devices the operation system of the Raspberry Pi have some updated components now and then. To get them, we have to log in the Pi again. Then we have to update the package list with the newest versions and their prerequisites. Next, we can download the latest versions of the components and install them. This downloads and executes the install script that is located on install.domoticz.com. The install log is in /etc/domoticz. Normally Domoticz should be up and running and you can access it by using your internet browser to go to the displayed HTTP address: http://IP-ADDRESS:8080. After installing the package, reboot the Raspberry. Switch to the Beta stream – If you did install Domoticz and you are planning to use all kinds of sensors and other peripherals that not yet in the stable, you can choose to switch to the beta stream. But be carefull it’s beta and it’s for testing purposes. After that, do again a reboot. Just point your browser to the IP address of your Raspberry Pi, and use port 8080. 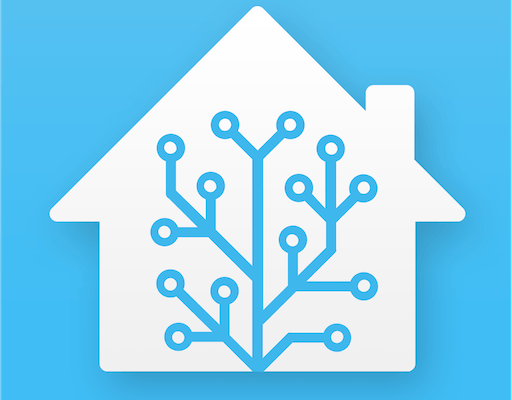 You completed the Installing Domoticz on a Raspberry Pi tutorial. Check out the buy list if you want a list of cheap products that are compatible with Domoticz.